Reliance Jio, the pan India 4G operator has received a letter of intent (LoI) from TRAI as an approval of unified license which will allow them to offer voice services as well. RJIL has to pay one-time entry fee of Rs 1673 crore along with performance bank guarantee of Rs 220 crore and a financial bank guarantee of Rs 44 crore. RJIL is testing voice and messaging services to be rolled out on 20MHz 2.3GHz spectrum band for sometime. The company has also obtained a Facility Based Operator License (FBO License) in Singapore which will allow Reliance Jio Infocomm Pte Ltd. to buy, operate and sell undersea and/or terrestrial fibre connectivity, setup its internet point of presence, offer internet transit and peering services as well as data and voice roaming services in Singapore. Reliance Jio Infocomm has published unaudited financial results for half year ended 30th September 2013 with revenues of Rs 0.02 crore for the six month. This is a flat growth for the last six month period. RIL has listed four associate companies or joint ventures under Jio brand namely: Reliance Jio Private Limited, Reliance Jio Cloudworks Private Limited, Reliance Jio Electronics Private Limited and Reliance Jio Media Private Limited. It has 50 percent stake in all these companies. RJIL, who is eyeing to east India for tapping the data market has started discussions with Orissa Government. The State Housing and Urban Development department has asked RIL to submit a concrete proposal on development of infrastructure for the purpose. But with the cyclone hits the state, it seems that roll out of new BTS and laying of OFC by RJIL will take more time now. Micromax, as reported by LightReading is working with Reliance Jio with its 4G devices. 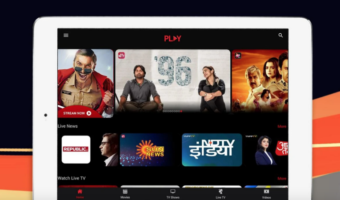 Vikas Jain, Co-founder and Business Director of Micromax told, “We are on the test beds with Reliance Jio Infocomm that has got BWA licenses and is waiting to launch its network. Our devices are being tested with the telcos, since a lot of technology integration is required in 4G devices,” Though any pricing of the devices was not revealed, as something concrete is yet to be happened in the market. Huawei is reportedly working very closely with RJIL at later’s pilot project at Mumbai and will be able to provide the 4G offerings once RJIL launches operations. Huawei has launched a LTE-TD smartphone with Airtel, but commercially it is yet to be launched. Huawei, the leader in data card business in the country believes IPv6 and LTE will act as catalyst for data card business for them. Karbonn Mobile has developed a 4G supported 5 inch device for testing by Reliance Jio. That device is priced at Rs 26,000. Though the company believes to bring mass market 4G products starting from Rs 4000 depending on operators’ strategy to roll out the services. LTE-TD, though has limited deployment compared to LTE-FDD across the globe is cost effective for rolling out 4G services as ABI Research said. ABI Research notes mainly three points. First, a single band of up 20 MHz can handle up and down traffic. Second, securing FDD spectrum has had a premium over TDD spectrum. Third, TD-LTE can be deployed as a complete network solution, as a hybrid FDD/TDD LTE network, a backhaul solution, or a network extension for a WiMAX network. Total Cost of Ownership is 13 percent lower for a LTE-TDD network. In terms of backhaul, LTE-TDD can provide a 33 percent saving over Point-To-Point Microwave solutions and a 43 percent saving over fiber. Analysys Mason said India will account for 5 percent of LTE 4G connections worldwide by 2018. The analysts over there thinks the developing countries like India, Brazil, China and Russia will push 4G/LTE data market. Operators like Reliance Jio, Bharti Airtel and China Mobile will be key 4G operators in Asia. LG Electronics has launched G2 smartphone powered by Qualcomm Snapdragon 800 processor. LG G2 sells for Rs 39,000 16GB variant and 32 GB variant for Rs 43000. 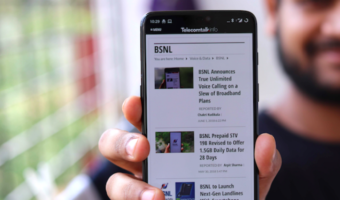 But company clears the fact that they are not pushing its 4G support to boost the sales as 4G operators are yet to create a mark in the market. Kicked off in April 2012, Airtel 4G is now having around 28,000 subscribers till the second quarter of 2013 as per a media report. Though that’s a pathetic figure Airtel’s performance is good enough as analysts say being present in 4 metros only with patchy coverages. It should be noted that Airtel slashed 4G tariff by 30% in June this year to promote 4G services among masses. 4G data card price was also slashed to Rs 1500. You very lucky.Here in Kerala there is no good 3g offers from !dea.They are only providing extra 20mb or 30mb as special internet offers. But you can go for Aircel 3G.You have many options for 3G.Here in kerala aircel have 3g licence but shut down its services.In Tamilnadu they have good 2g coverage and good 3g offers like 1GB 3G @ Rs.67 for 7 days. ICRA ka naam suna hai??? It is a special offer for you for limited time. They cannot give 3G cheaper than 2G for long. 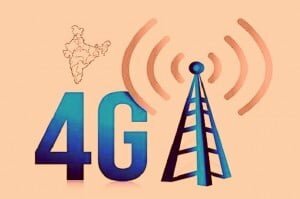 Soon they will make 2G/3G unified by one more hike in 2G or small drop in 3G rates. Don’t think they will drop Rs 100 on 3G again. I think they unify around Rs 199 per GB. Just see there current plans. Here for Rs 26 more on 550MB pack u get only 120MB more. But for Rs 30 more on 620MB pack you get 404MB. So I think they are going to hike it again to Rs 199 for 1GB 30 days. Also if they were going to unify it at current rate, they would have done with this hike like Aircel did. One more hike coming soon.